will be offering a desert retreat immersion of ritual and writing in the style of "The Red Book" meets Rilke. With an oracle deck of writing prompts, we will be in dialouge with the unconscious. The desert has always been a symbol of transformation and prime territory for invoking our own internal landscapes. 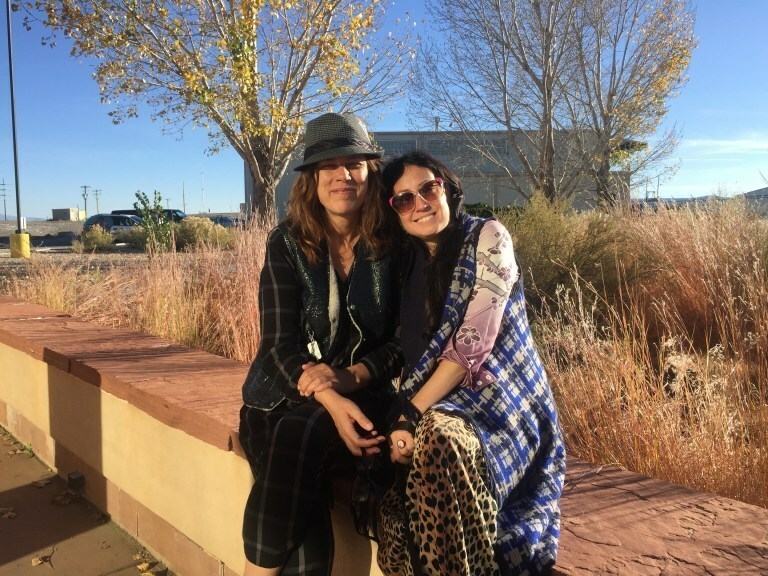 Sherene and Shari are excited to offer a retreat that pairs writing and ritual in this amazing landscape with the intention of writing our way back to ourselves. Red Cliffs lodge is about 25 minutes outside of Moab city right along the infamous and stunning Colorado River. Each one of the rooms has a small kitchenette. There’s also a pool, hot tub and workout room, plus a restaurant that opens for dinner at 5 pm. River magic and why ports are magical destinations in themselves. A list of historical spots and their meaning to the history of NOLA as well as any magical worker. Breaking through blocks by frequency shifting meditations. Every day rituals, what we do daily to bring more magic into the mundane. Discounted rates at Red Cliffs Lodge (under our special room block) for cozy, rustic cabins with all the amenITIES INCLUDING swimming pool, hot tub and workout room. They have refrigerators and little kitchens, so you can bring your own food. Shari Zollinger is a modern-day nomad who recently landed in the wild west outpost of Moab, Utah. She is a book enthusiast, a published poet and fluent in the symbolic and archetypal language of astrology. Her passion for language and poetics puts her in the unique position of translating astrology’s ancient language for the contemporary psyche. Her clients are deeply artistic, insatiably bookish, wordsmiths of the highest order, and willing to take on the gorgeous challenge of deep self-work. Shari has a thriving astrology practice and continues to write her way into poems.